The Web is getting Sloppy, Why is it a Problem and Who’s Fault is it? Lately I’ve observed a few web sites that have been “re-launched”. Web sites vary from a small time blogger, a popular car forum, a very large automotive vendor and even Google! First, let me define what I mean by “The web is getting sloppy”. 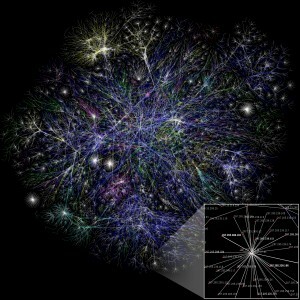 Essentially the Internet is organized by domain names, for example www.google.com. Each domain name or web site is then organized by paths and files. Between the latest additions of domain name combinations (e.g. example.cc) and the past couple years of sloppy organized paths and files on these web sites, the web is becoming a really big mess. For Google to make such a simple mistake, it really shows that anyone is susceptible to web sloppiness. Lets look at a popular automotive parts vendor, YearOne.com. They recently launched a new web site, which is great! Unfortunately, no attempt was taken to route the old paths and pages to the new paths and pages. This means that years of YearOne loyal customers who have been posting links to their favorite products on YearOne.com are now wasted. Bloggers call these links “gold” for a reason, they bring new visitors to your site on a continual basis, usually in situations where traditional means of attracting those visitors is not effective (such as advertising). When the guy down the street recommended a steering wheel 3 years ago on your favorite Chevy forum, you take the recommendation seriously. Well now that YearOne.com failed to correctly redirect the old pages to the new ones, that coveted potential customer traffic is lost. In the case of YearOne’s problem, this is something that could be solved in 1-2 days with some basic script writing and access to the old and new databases. 2 days of a programmers labor is definitely worth keeping these potential customers coming and buying your products! I absolutely love this site, but it recently violated a number of cardinal rules, such as moving forums to different folder paths on the server and using capital letters in URLs. The forum was moved from www.example.com/smf/ to www.example.com/SOMETHING-ELSE/ and a not so friendly message is now present on the old forum with a link to the new forum. To add insult to injury, the link is just text on a page, it’s not even surrounded with the necessary HTML to make it click-able. The owner of this site missed an opportunity when I offered to help him fix the problem for free. A simple PHP script that automatically redirects traffic from the old forum to the new one would help him keep the old traffic that would come to his site remain, while also keeping the old links on the new forum to going to the right topics on the new forum. The CAPITAL LETTER folder name is no big deal really, but if search engine optimization techniques was ever applied, the folder really should be called “forum”. Capital letters are frown down upon in web development. When URLs are typed in manually, the possibility of error is increased when someone has to remember to hold down shift. Furthermore, on Linux and Unix based servers, you can have separate folders with the same name since the capital letter folder is recognized as different than a lower case folder. In this case, I fixed the problem for myself by writing my own GreaseMonkey script which redirects links to the old forum automatically to the new one. My script also removes links that may appear on Google that go to print page versions of the forum to it’s normal readable versions. So this is where I will definitely feel bad calling someone out specifically, and luckily the problem is so common I don’t have to anyway. The biggest thing I see is bloggers trying too hard with their sites, injecting every little widget and gadget into their pages till you can’t even tell what was written by the blogger to what is an advertisement. If you take yourself seriously as a blogger, keep your sidebar clean, limit the amount of images you put in your blog posts and don’t over-do your site navigation. And what ever you do, don’t move sites around like checkers. If you don’t have the technical knowledge how to both move a database, reconfigure settings and how to perform 301 permanent redirects, you have no business doing anything with moving sites. Hire someone who knows what they’re doing or leave it as is. The latest generation of bloggers are unaware of the importance of their blog’s feed URL. What ever you do, treat this as the keys to the castle! If you change this URL in any way, you will have consequences, even if properly redirected it can lead to lost readership and subscribers. Think of your feed as your postal mailbox. You don’t put the mailbox in the back yard and you certainly don’t move it around your front yard either. Once you have a place for your feed, keep it there and never move it! I don’t think it’s any one person’s fault. We’re now seeing a new generation of web sites lead by a new generation of web developers who are green, learning the mistakes that my generation had to learn. Unfortunately in an advertising revenue and sales commerce driven web world, even one lost web visitor could mean the difference of gaining or loosing a great customer. I’ve been developing web sites professionally since June of 2000. If you need a web developer who takes details like these seriously, contact me at www.mandato.com. 3 comments on "The Web is getting Sloppy, Why is it a Problem and Who’s Fault is it?" I find it humorously ironic that your link to “www.mandato.com” produces a 404 error. 🙂 Yes my personal sites are not up to my own standards.